Accor has been appointed manager of the Marriott Busan in South Korea's second largest city and the hotel is to be re-branded Novotel Ambassador Busan. 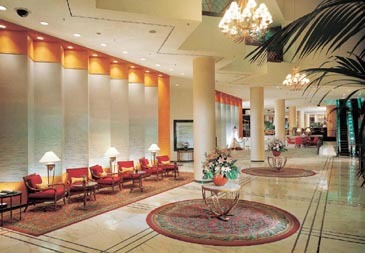 Accor took over the hotel on 5 November 2006. The hotel will undergo an extensive multi-million dollar refurbishment programme to rooms and public areas to upgrade the property to Novotel's renowned brand standards. The work is scheduled for completion by the end of March 2007. Novotel has established itself as a market leader with both leisure and business travelers and is currently launching a new generation of Novotels across Europe, the United States, Asia and Australia. Novotel Ambassador Busan is Accor's third Novotel in South Korea and is part of a network of over 400 Novotel hotels and resorts in the world's most prestigious cities including London, Paris, Berlin, New York, Bangkok, Singapore, Hong Kong, Beijing, Sydney and Auckland. Novotel Ambassador Busan is the 6th hotel in the Korean network of Accor and its local partner, the Ambassador Group of Korea. Other hotels in the network are: Sofitel Ambassador Seoul, Novotel Ambassador Gangnam, Novotel Ambassador Doksan, Ibis Seoul and Ibis Myeong-dong. The Ambassador Group has been acknowledged as the leader in the Korean hotel industry, with over 50 years of local experience, and this extensive experience will provide the foundations for the successful launching of Novotel Ambassador Busan. As the joint partner in the management contract with Novotel Ambassador Busan, Ambassador Group will actively co-operate with Accor in managing the hotel. Busan is a major gateway city for South Korea and is located on the southeastern tip of the Korean peninsula. Its deep harbour and tides have allowed the city to grow into the largest container handling port in the country and the third largest in the world, with potential for even more growth. The hotel enjoys a pre-eminent location in Busan, ideally located in the heart of the city's – and one of the country's – most popular beaches, Haeundae. The 356-room hotel is also within walking distance of the bustling restaurant and shopping district of Haeundae, and is only 10 minutes from Busan's exhibition and convention centre BEXCO. pool, which – like the hotel's guestrooms – offers panoramic views. The hotel's guest rooms will be upgraded to Novotel's latest design standards incorporating aspects of its latest 'Novation' room concept. The lobby, executive lounge and restaurants will also receive a fresh interior design and Novotel's innovative 'The Square' restaurant will be introduced for the first time in Korea. Accor Asia Pacific Managing Director Michael Issenberg said Novotel Ambassador Busan would be an important addition to Accor's network of hotels in South Korea and in Asia. "Novotel is Accor's founding brand and it is very important to have the brand represented in Asia's key gateway and business centres. Busan continues to grow as a major business destination for both domestic and international travelers and when the refurbishment is completed the facilities and standards will complement our other award-winning Novotels in Seoul. "We will be aiming to grow each of the business, conference and leisure markets." To celebrate the addition of Novotel Ambassador Busan to the Accor network, special rates are available from KW145,000 (+ local taxes and surcharges) per room per night online at www.accorhotels.com/asia from November 5, 2006. Accor is one of the largest international hotel operators in Korea with currently six hotels under the Sofitel, Novotel and Ibis brands. It has plans to expand even further. Services to corporate clients and public institutions: 21 million people in 35 countries benefit from Accor Services' products – employee assistance programs, people care and services, incentive, loyalty programs, events, food vouchers.